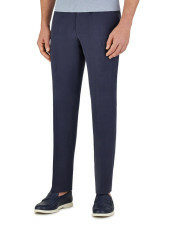 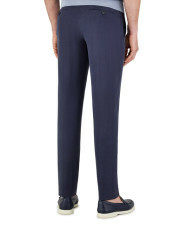 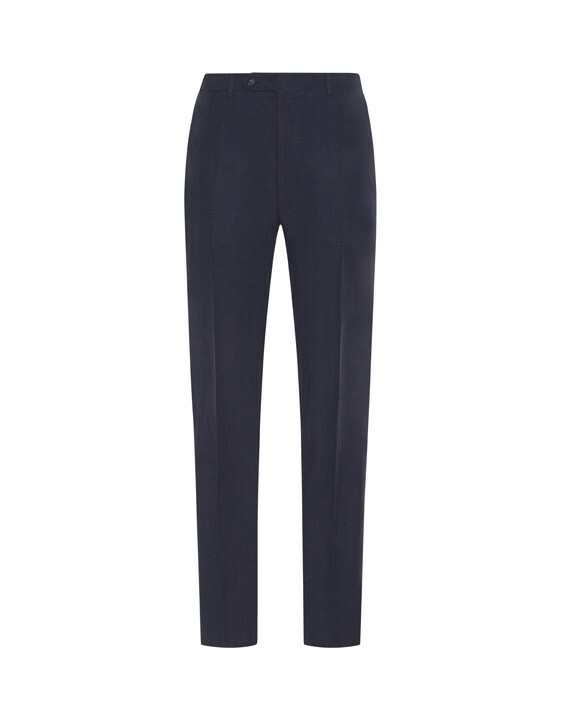 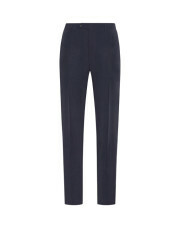 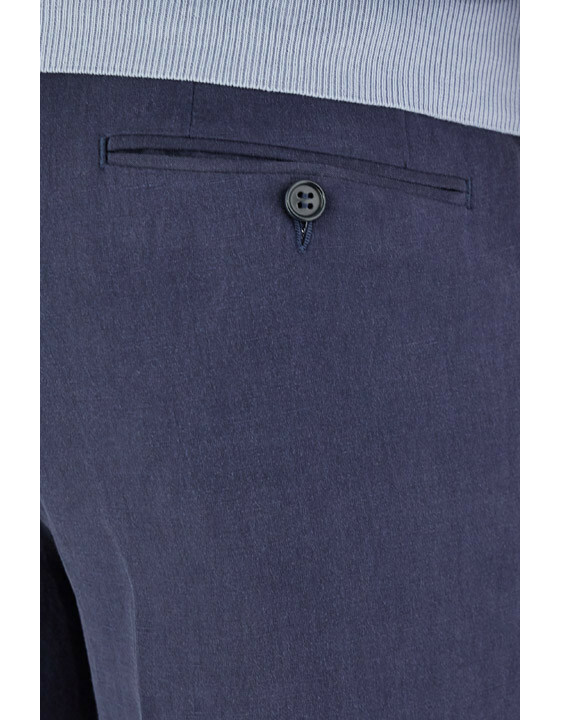 Refresh your Spring Summer formalwear with these timeless dark blue dress pants. 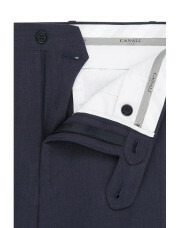 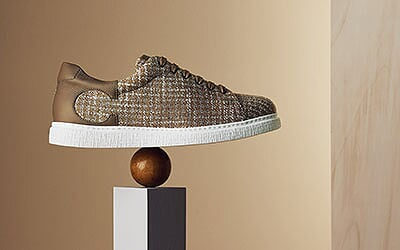 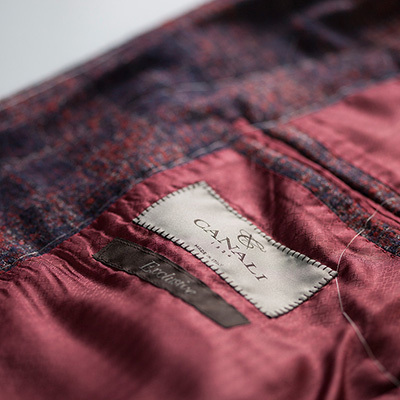 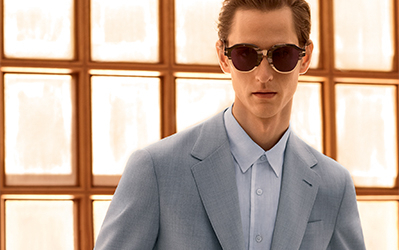 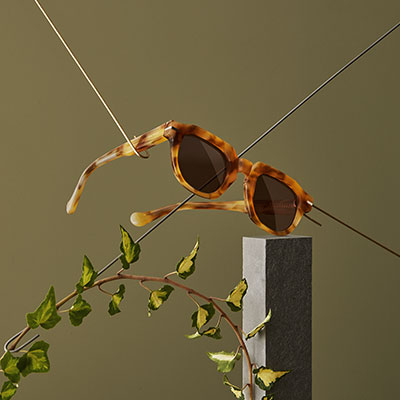 A superior blend of linen and silk fabric ensures your look is both breathable and luxuriously soft. 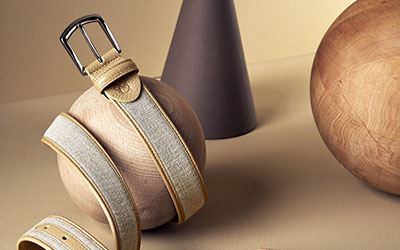 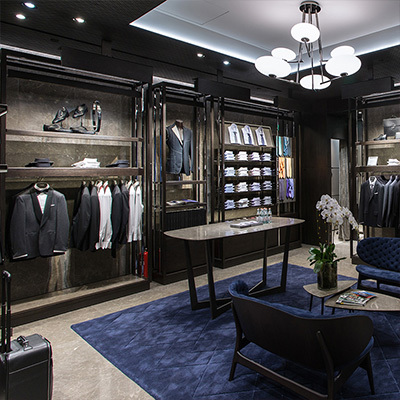 Browse our selection of dress shirts and leather accessories to complete the outfit.